Stated mildly, Mahesh is the only hero who doesn’t even have to try to look like a hero. That is why his on-screen swagger is so mesmerizing. As Surya Bhai he has portrayed a scary, menacing meanness in Businessman. “I submitted to Puri”, at least that’s what Mahesh kept saying in the promos. But when you see the movie, you quickly realize that it is Puri who has surrendered to Mahesh’s Surya. No wonder he admitted that directing Mahesh gives him a “kick.” The lad has got loads of charisma. But what he also is quickly acquiring is: an understanding of his craft. That is why he is getting better. It is now beside the point, whether Magadheera collected more than Dookudu or not. The context of the debate has to be framed in the follow-up act. 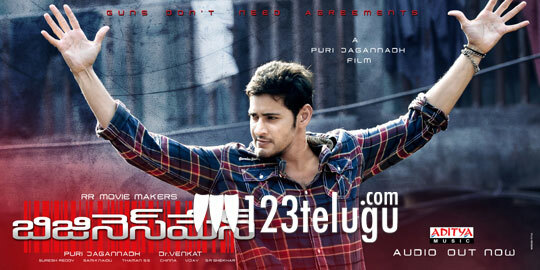 Mahesh succeeds here. Coming from a massive hit and more than managing to hold the audience interest is no small act. There is nothing routine about Businessman. The hero is an amoral , scheming thug, who exhibits symptoms of rage and obsessive disorder. There is no comedy. The sentiment is only noticeable because it is absent. There is no staple diet of comedians. Yet the urban youth are connecting. It is difficult to see this movie being ignored by youngsters in towns too. Anyway, with 2000 prints, on a long-weekend the math of covering investments on a 70-day shoot is not all that complicated. So let’s keep the hit and flop talk aside. The Businessman will more than make business sense. Rest assured. But what it will also do is widen the gap between Mahesh and the rest. The point will arise that if Mahesh can make a negative character look so positive, what he will do with a character that is moulded in morality.